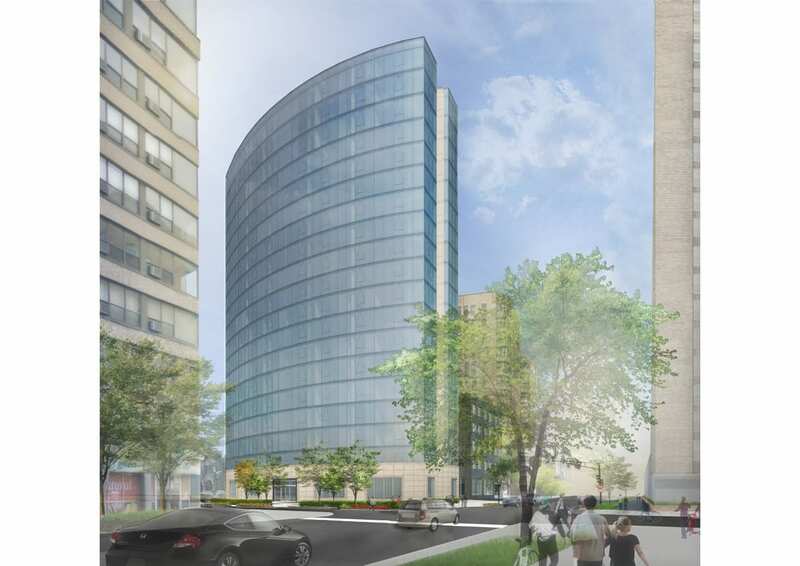 This Sheridan Road tower in Chicago’s Lakeview neighborhood is designed within the existing Planned Development guidelines. A 20-story glass tower with a masonry base rises adjacent to a 5-story parking garage; three amenity levels, at Floors 1, 6, and 20, boast several sophisticated shared spaces, including a fitness center, dog run, communal kitchen, and outdoor seating and landscaped terraces. The curved tower façade opens the apartments up to spectacular views of both downtown and the north side. Reflective glass, combined with warm stone at ground level, allows the building to synthesize into its surroundings. A subtle emphasis on the horizontal bands of the façade displays the building’s simple and economical construction method.